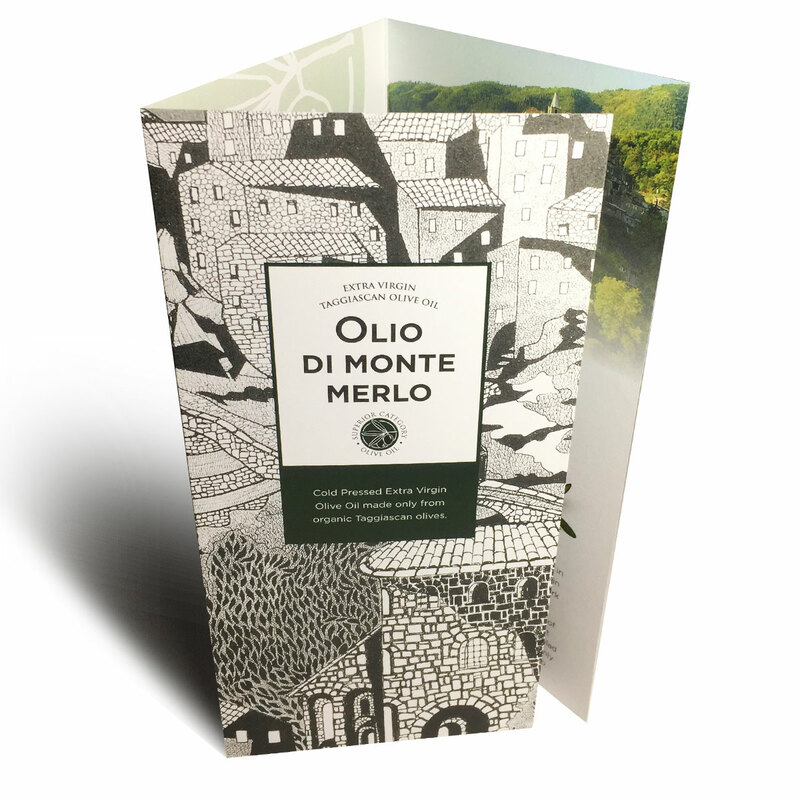 Brand creation and packaging for a new artisan olive oil company near Ceriana, Italy. 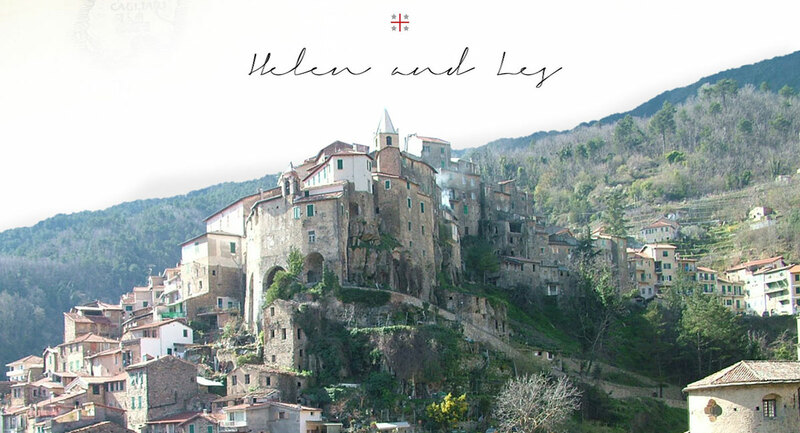 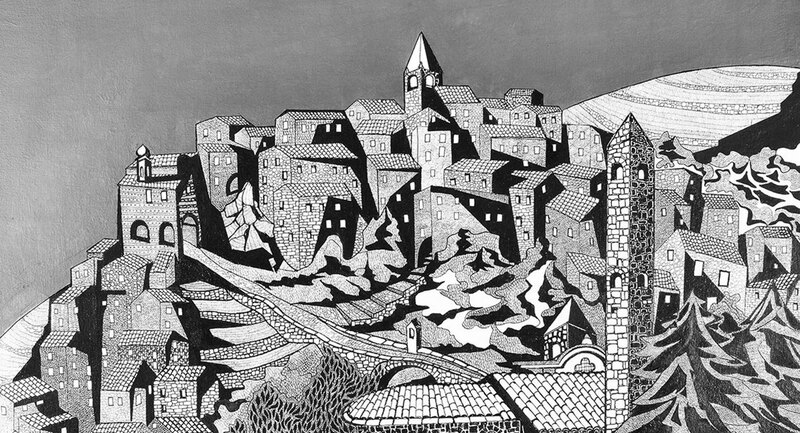 After creating the brand name, we commissioned an illustration of the medieval Ceriana village from a local artist. 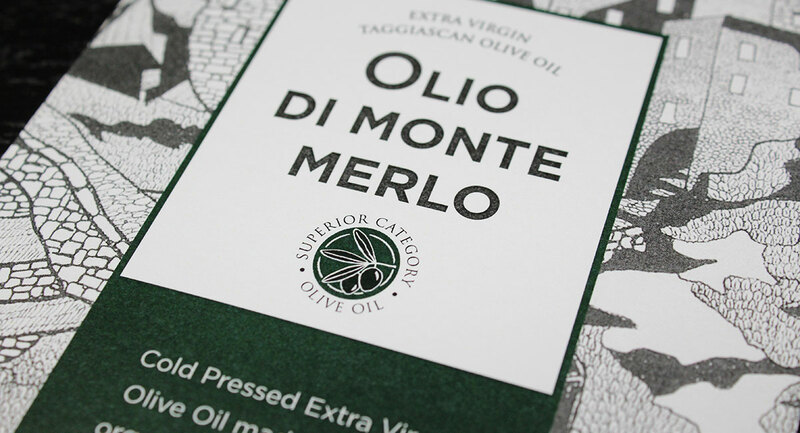 We used the illustration as the backdrop for the branding and bottle label, keeping the graphics uncluttered and the colour pallet clean and fresh. 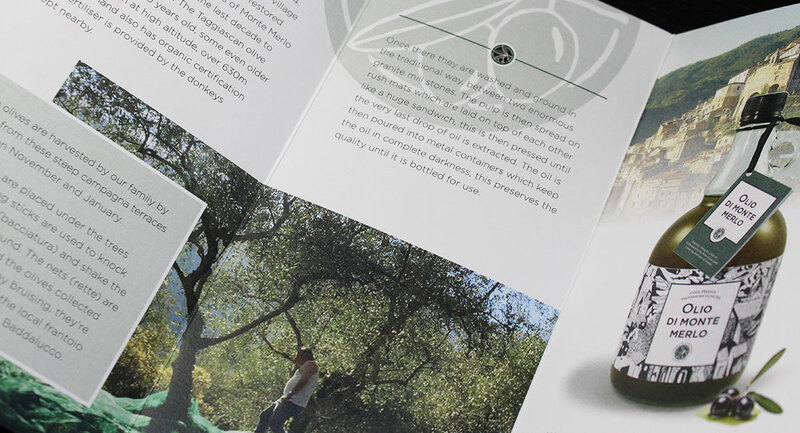 We sourced recycled glass bottles for the oil that reflect regional tradition and produced marketing material. 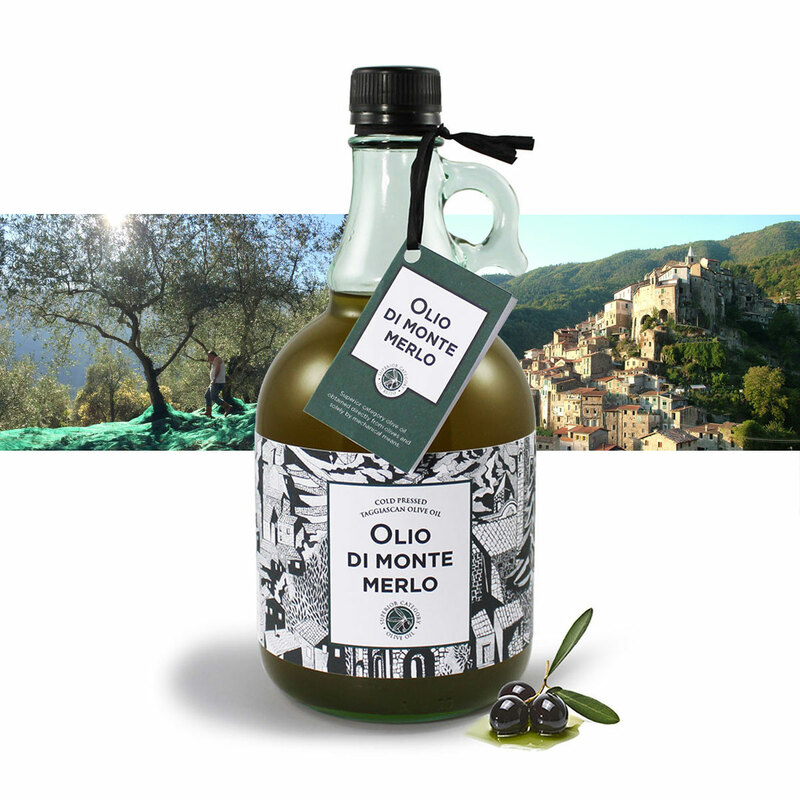 We are currently developing a website.